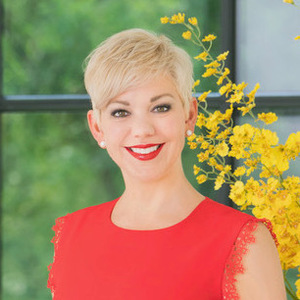 You could say real estate is in Tiffany Touchstone Hawkins’ blood, as a third generation Realtor, she has been matching families with homes in Dallas and the surrounding Metroplex for 18 years. She continues her family legacy of helping others with their largest asset alongside her husband Brandon Hawkins. Together they create extraordinary experiences for their clients. Tiffany believes that a house is much more than a good floor plan. It is a home where you create memories and become who you were created to be in life. Finding the right place for each family to become the best they can be is her calling. Whether it is through buying a first home, moving for your growing family, or downsizing once the kids are gone, helping people navigate from one stage of life to another is a true joy and honor for Tiffany. She has been able to help over 600 families through all of these various phases and will confidently guide you through the process. Tiffany has a passion for learning and growing. In today’s changing market, she is a devoted student and teacher of real estate. Her accomplishments and designations include Accredited Buyer Representative, Certified Residential Specialist, and Certified Luxury Home Marketing Specialist. Tiffany is among the top 1 percent of all Realtors, which exemplifies her dedication to her clients and career. She has been a part of several inter- national real estate masterminds, networking and consulting groups since becoming a Realtor in 1998. This gives Tiffany and Brandon global perspective and the ability to share market knowledge with other leading Realtors and Brokers in the country. Tiffany has been voted one of D Magazine’s Best Realtors since 2006. Much of her continued success is attributed to her extensive market knowledge, superior customer service and sincere desire to serve the needs of others. Her passion for people and business grew while at Abilene Christian University earning a degree in Communications and Marketing. She enjoys serving on the Alumni Advisory Board at ACU connecting alumni to one another and the university. Tiffany was an active member of Junior League for 8 years, and is currently involved with CitySquare in Dallas fighting the causes and effects of poverty through advocacy, friendship and education. She is co-chair of A Night To Remember, which is CitySquare’s premier fundraiser and is proud to have Jerry Seinfeld as this year’s entertainer. Tiffany enjoys interior design and keeping up with the latest home trends. She can help guide you when updating your home and advise you on what is going to bring you a financial return when it is time to sell. Tiffany and Brandon enjoy traveling around the world, but they are always happy to come back home to Dallas. "Tiffany Touchstone Hawkins is fantastic to work with! She and her staff are very helpful and will guide you through the home buying or selling process from start to finish! I’ve used her a few times now – she’s great at providing exactly what you need!" - Allison C.
"Tiffany and Brandon were excellent! We kept a close eye on all prospective homes in our hopeful neighborhood via Zillow, but Tiffany was quick to find the right home before we had a chance to find it on our own. Very patient and professional as we navigated expectations and challenges as first time home buyers. She's fantastic!!" - Cindy H.
"Tiffany was awesome in helping us find or first home and then selling it within a week of listing! We've referred her to friends and they've also had a great experience with her. Her knowledge, experience and customer service are top notch! I'd recommend her to anyone that's looking to buy or sell." - John M.